shows off our client's personality. 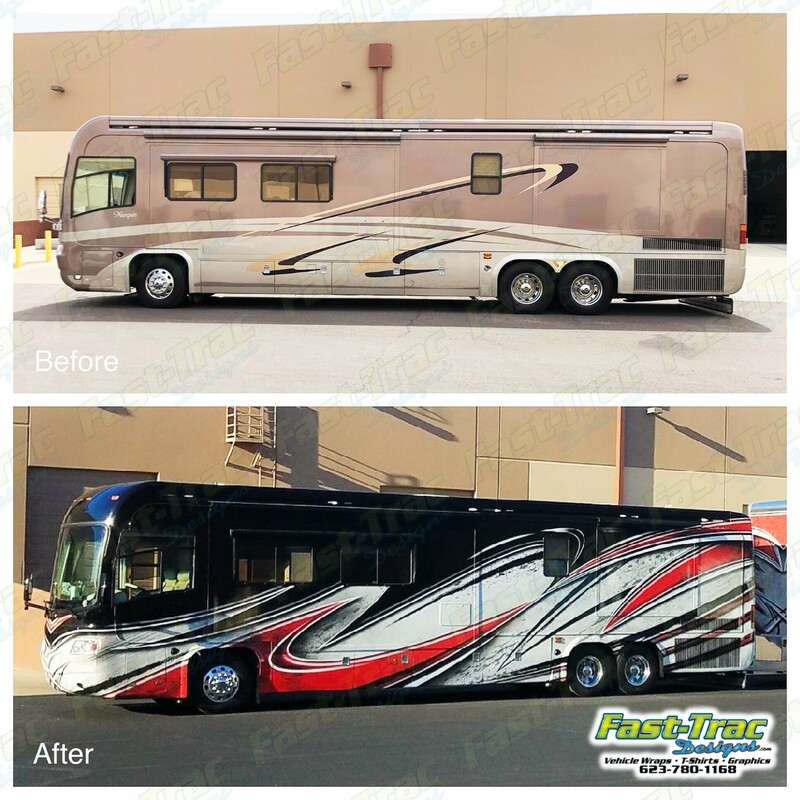 Recently we had a client that wanted to take the extravagant route and have an RV wrap & trailer wrap custom designed, printed and installed by Fast-Trac. It all started with about 35 hours of design time. The design flows along each side, curves around the back then continues onto the trailer it also contains extreme amounts of detail. 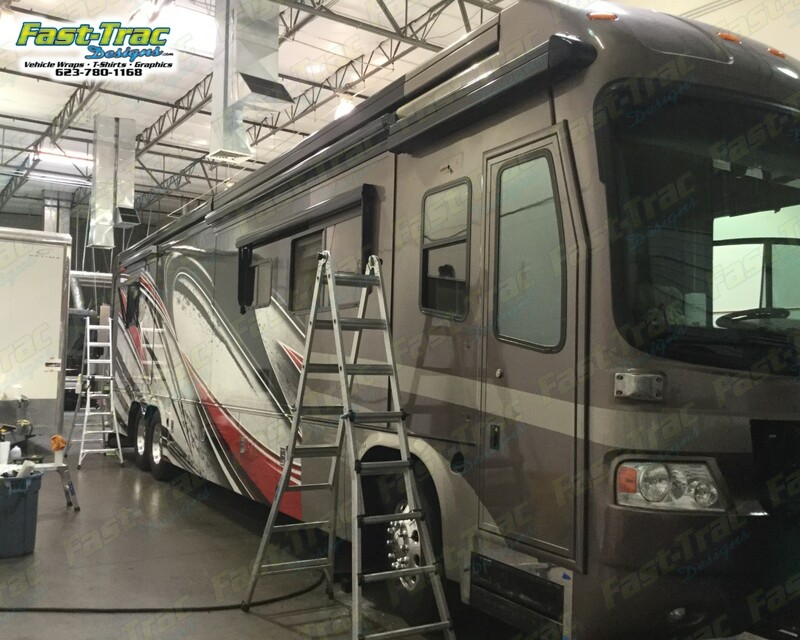 To ensure that the graphics would align properly took accurate measurements, careful planning as well as a skilled installation team. The installation time spanned nine days with a team of 3 to 5 installers each day. 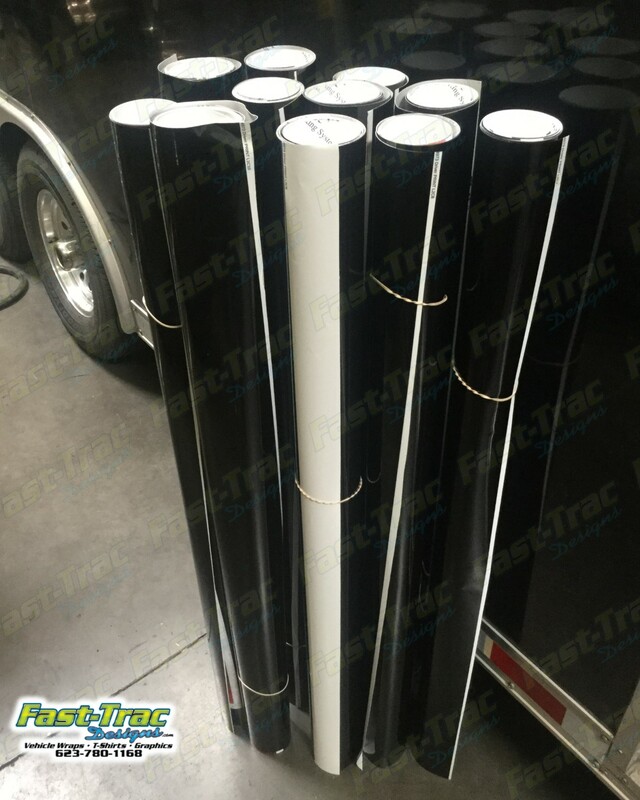 Wrap installers must take their time with preparing the vehicle surface then verifying that all of the prints align properly. 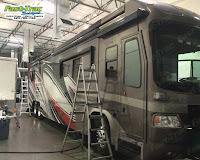 This part of the process was a bit more tedious that standard vehicle wraps due to such a detailed RV body style. The before and after transformation is incredible to see. 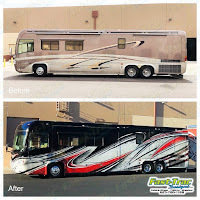 Overall our team at Fast-Trac Designs put in a lot of hours and hard work to create an amazing must see RV and trailer wrap. Click on the photos to enlarge and let us know what you think about this project. Extremely great work. Very detailed and professional Looks brand new. We also are working on our wraps and look for inspiration with our wraps! See us at https://www.windowtintjackson.com. Commercial Fleet Branding, Van Wraps, Car Wraps, Vinyl Graphics and Vehicle Livery. 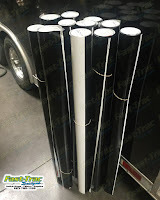 All types of machine cut vinyl graphics and digitally printed conformable cast vinyl materials. in SOUTH WALES. Whether it’s camouflage graphics, or race car graphics, we will transfer your idea onto your car!